We're also joined by special guest, Lisa Monks. In Facebook news, they have updated their monetization plan for live video. Running Facebook Live videos costs money. Not only do you need live video tools, but it takes a good amount of time to run a successful live video show. Wouldn't you want to also monetize it so that you can generate revenue from your videos? According to Facebook, here are some ways you will be able to monetize your Facebook Live videos. On Facebook, we're expanding our beta test of Ad Breaks in Facebook Live to additional profiles and Pages in the U.S. This is great news if you create a lot of Facebook Live video content. If you want to test out some of these features, you'll also need 2,000 or more followers and have 300 or more concurrent viewers in a recent video to test out the ad breaks feature. Facebook also mentions that "you can take your first ad break after having been live for at least 4 minutes. You can take additional ad breaks after a minimum of 5 minutes between each break." This feature is being rolled out to eligible Profiles and Pages. Whether it's improving your Live video content or building a stronger relationship with your customers, this gives you something to aim for in order to unlock monetization for Facebook videos if you aren't yet eligible. Read more about monetizing Facebook video from Facebook. Also in Facebook news, they have rolled out their Facebook Video app for the Samsung Smart TV's and the 4th generation Apple TV. Launching a dedicated Facebook video app for television is a good move by Facebook. Not everyone spends time on their mobile device or their laptop. They also spend an inordinate amount of time watching television. By adding a dedicated Facebook video app, they can now encourage Facebook users to watch Facebook videos on their television. If you're a business looking to take advantage of the new Facebook video app, continue creating engaging videos for Facebook and encourage your viewers to get a Samsung Smart TV so that they can watch your show from their couch. You can read more about the Facebook video app here. Is Snapchat Launching A Drone? In Snapchat news, they might be expanding their line of products to include drones. Snapchat featured a 10-second video of drone footage within a five-minute video of a Snapchat-curated "Live Story," now called "Our Stories" on the Battle of Mosul. This could be a sign that Snapchat is looking to expand beyond Spectacles and into drones. While the footage wasn't produced by Snapchat, it showcases the power of using the Snapchat platform for storytelling. As a business owner, one thing you may want to begin thinking about is how to become a better storyteller. While you run a business, there also needs to be a common thread that runs through your content to get readers to care about you, your business, and what problem you cam help them solve. To read more about the possibility of a Snapchat drone, click here. In YouTube news, they have rolled out YouTube TV. YouTube TV is a live TV service. For $35 per month with no long-term commitment, you'll get six accounts along with national coverage of ABC, NBC, CBS, Fox, CW, USA, FX, FXX, Syfy, FreeForm, MSNBC, CNBC, Fox News, Fox Business, Disney, Disney Jr., NatGeo, Sprout, E! and others. If you want services such as ShowTime, those will be available for an additional fee. For those of you who like sports, national coverage will be available for ESPN/ESPN2/ESPN3/ESPNU, FoxSports, FS1, FS2 and NBC SportsNet for YouTube TV as well. Some other benefits of using YouTube TV are that you won't have to worry about running out of space on your DVR. Each person will also get their own personal DVR so you can get tailored recommendations based on your interests and not what everyone else watches. YouTube TV will also have a social component and will tie in to the YouTube community tab. 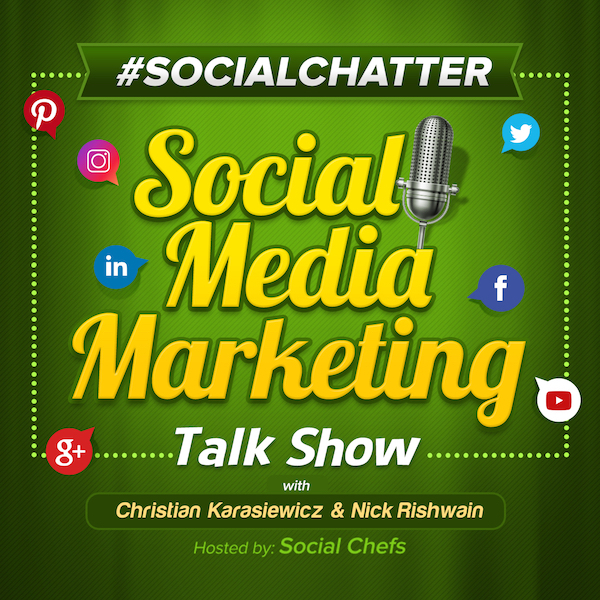 Overall, right now, businesses will want to continue building an engaged following on their YouTube channel so that as "social TV" becomes more mainstream, you'll have a following that's ready to tune-in! To try out YouTube TV, sign-up here. In Medium news, they are launching a new type of story called Series. According to Medium, readers spend five million hours per month on their site. That's a lot of time spent reading content. As a result, Medium is introducing a new type of story called "Series." "Series are mobile stories that can be added to over time and unfold card by card with the tap of a finger." Here's a short video showing how Series by Medium works. As a business, you might want to explore using Medium. Overall, we love the idea of being able to create a series and add to it. For most social media channels, we write a single post that may be a part of a series, but there isn't necessarily an easy way to add to these. If you're reading someone's series, you can subscribe to get a push notification when the creator adds a new installment. This way you can keep up. Another thing we like about Series is that if you stop in the middle of a series and new content is added, it bookmarks where you were at and takes you back there. We could see Series by Medium being very useful for businesses. The key thing is going to be for businesses to have a well-defined strategy for writing their series and adding to it. To get started with Series by Medium, download the Medium app (iOS | Android). To read more about Series from Medium, take a look at their announcement. The first tool we have for you this week is called Live Leap (web). Have you wanted to syndicate your Facebook Live video to reach multiple networks at once? For example, send your Facebook Live video to Facebook Groups and also to Facebook Pages at once? With Live Leap, you can send your live video broadcast to Facebook as well as to your audience on Twitter, LinkedIn and more. By sending your Live video broadcast to multiple social media channels, you can tap into the relationships that you have on each of these networks to help spread the word about your video. To begin using Live Leap to broadcast your live video to multiple channels at once, use the link below. The next tool we wanted to share with you is called MonsterInsights (web). If you've ever tried setting up Google Analytics on your WordPress blog, it can be frustrating to have to edit the code on your website. With MonsterInsights, you can quickly set up Google Analytics on your blog in seconds using their powerful WordPress plugin. Once you have MonsterInsights setup, you'll be able to see real-time stats, understand your audience demographics so you can better tailor content your content, track outbound links and more right from within your WordPress dashboard. Here is a short video showing you how MonsterInsights works. MonsterInsights is available as a lite or pro version. You can try it out using the link below.